People born with a rare genetic mutation are unable to feel pain, but previous attempts to recreate this effect with drugs have had surprisingly little success. Using mice modified to carry the same mutation, UCL researchers funded by the MRC and Wellcome Trust have now discovered the recipe for painlessness. 'Channels' that allow messages to pass along nerve cell membranes are vital for electrical signalling in the nervous system. In 2006, it was shown that sodium channel Nav1.7 is particularly important for signalling in pain pathways and people born with non-functioning Nav1.7 do not feel pain. Drugs that block Nav1.7 have since been developed but they had disappointingly weak effects. "After a decade of rather disappointing drug trials, we now have confirmation that Nav1.7 really is a key element in human pain," says senior author Professor John Wood (UCL Medicine). "The secret ingredient turned out to be good old-fashioned opioid peptides, and we have now filed a patent for combining low dose opioids with Nav1.7 blockers. This should replicate the painlessness experienced by people with rare mutations, and we have already successfully tested this approach in unmodified mice." "Used in combination with Nav1.7 blockers, the dose of opioid needed to prevent pain is very low," explains Professor Wood. "People with non-functioning Nav1.7 produce low levels of opioids throughout their lives without developing tolerance or experiencing unpleasant side-effects. We hope to see our approach tested in human trials by 2017 and we can then start looking into drug combinations to help the millions of chronic pain patients around the world." The findings were made possible by the use of 'transgenic' mice, meaning they were modified to carry genetic material from another organism - in this case, the mutation that prevents humans from feeling pain. 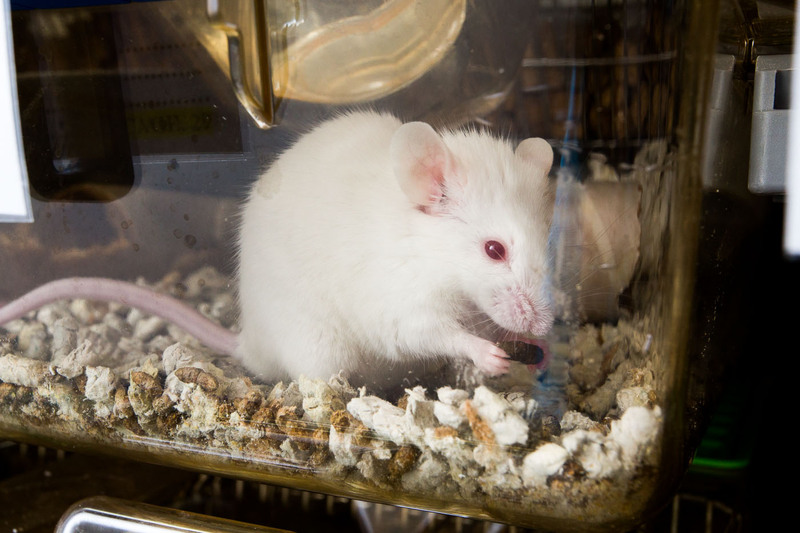 Precise physiological experiments showed that the nervous systems of the transgenic mice contained around twice the levels of naturally-produced opioids as unmodified mice from the same litter. "Our results reaffirm the clinical relevance of transgenic mouse models for human diseases," says Professor Wood. "Studying the mice showed us what was going on in the nervous system that led to painlessness and our findings were directly translatable to humans, as confirmed by the painless patient. Without the work in transgenic mice, none of this would have been possible and we still wouldn't know how to replicate the effects to help people suffering from chronic pain." Professor Wood is working with UCL Business PLC, UCL's technology transfer company, to protect the discovery through an international patent application.